As a heads up, the testosterone will be jacked up on the Canadian Gift Guide over the next little bit, in the one time of year I freely feature plenty of dad-friendly gift-giving ideas. Today I’m shining a spotlight on a handful of guy-ready gifts, although this very likely won’t be the last you see of Father’s Day gift guides. Today’s focus is for the guy that likes to learn (and do) a thing or two. Read on! Hockey is still dominating our television screens, and if your husband / brother / boyfriend / dad etc. is babbling on about their hockey pools and playoff prospects, well, this book might just give them extra ammo to shoot the breeze (or the puck) with his buddies. With humble beginnings as a radio program that delivered insider and real-time updates on Canada’s favourite sport, Hockey Night in Canada has since become the world’s longest-running program, as documented in this gorgeous companion featuring insider behind-the-scenes stories, a thorough history of this game-defining program, stunning archival imagery, and a foreword by one Ron MacLean. An excellent choice for dad to bone up on his hockey stats for that next round of brews. Dad not a reader? Be sure to check out the full line of HNIC gear available – including caps, tees, and hoodies! BBQing & Dads go hand-in-hand (so much so, you *may* just see another post on the subject in the near future). But for the dad looking for a challenge, consider this portable gas grill that comes with five interchangeable plates so he can whip up a variety of dishes. Sizzle up some steaks on a classic steel grate, but shake things up and expand your BBQ prowess by grilling eggs on a griddle or tossing together a zesty stir fry in a wok. A perfect pick for your dad’s cabin, alongside a BBQ-themed cookbook so he can truly earn the title of ‘grillmaster’. In all the years my fiance & I have been dating, we’ve frequently commented to one another ‘that should go on a tee-shirt’. 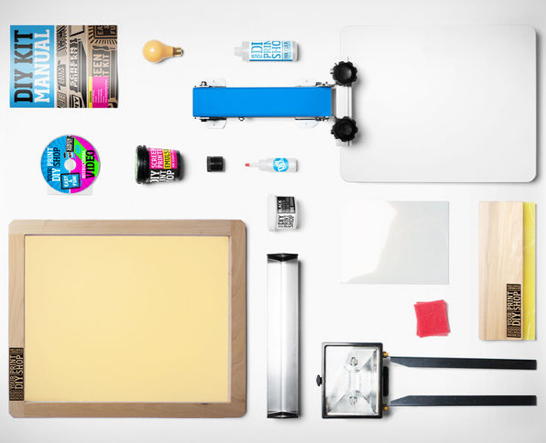 Whether you’re shopping for a grizzled ol’ guy that wants to share nuggets of wisdom or your gifting your clever and cheeky husband, this amazing kits features everything you need to screen print your own tees at home (well, except for a tee-shirt). Learn the ins and outs of this crafty DIY project and who knows – dad might even turn it into a business. As a word of caution, don’t be surprised if you end up with DIY tees as Christmas gifts for the next few years. Just sayin’. Use dad’s technology addiction for good with Jawbone – a wristband and companion app that tracks how you sleep, move, and eat and provides insight to help you look and feel better. Check in on your daily progress via your phone to see how you’re treating your body, and take on tips to live a healthier life every single day. Of course it’s not all seriousness – the app itself is pretty fun, the wristbands are totally comfortable, and there are additional apps you can link up to your Up to create a holistic & wholly realized care plan for yourself. A great choice for young dads looking to kick some middle-aged paunch or older dads that are finally taking the time to care for themselves. Contrary to popular belief, making your own home brew isn’t all that difficult. All it takes is a bit of space, a bit of time, and a bit of effort using fresh, natural ingredients to create something with your very own hands (and nose) that’ll taste miles better than anything you could snap up on the shelves of your local liquor mart. At least, that’s the philosophy behind Brooklyn Brew Shop, a New York-based outfit that’s recently brought their full line of brew kits to the whole of Canada via Indigo. Each of their adorably packaged kits includes everything you need to whip up a batch of one of their craft brewery-inspired blends, which are constantly changing with the seasons and their wild imaginations. Feast on nachos and sip on Jalapeno Saison beer brewed with agave nectar and real jalapenos or opt for a more classic IPA loaded with American-grown hops to accompany your favourite meaty dish. For that dad that’s always wanted to try his hand at brewing his own beverage, look no further – I speak from experience having given one of the kits a test run myself, it couldn’t more foolproof or fun. Consider making an afternoon out of it together to kick things off. Although not all of the kits are available through Indigo, I focused in on them because of their great Canadian shipping policy. Rest assured, you can find Brooklyn Brew Shop kits at your favourite local fine gift store or order directly through their website to access all the goods. 1) Leave a comment by June 19th with your favourite Father’s Day find featured in this post + the Brooklyn Brew Shop kit you’d most love to try first. 2) Entries are limited to one per person / per email address / per household (or more if you score bonus entries). A random draw will be conducted on or around June 20th to select the winners, who will have 48 hours to respond before another winner is chosen in their place. A: I think you should become friends with Brooklyn Brew Shop on FB and leave a comment on why you’d like to try their beer kits. Leave your FB username and / or a link back to your comment to score a bonus entry. B: Speaking of shops, the CBC Shop’s Facebook Page is always a great source for year-round gift-giving inspiration. Leave ’em a comment in regards to the HNIC book, and once again, link back to your comment and / or leave your FB username in the comments below for another bonus. C: For all you pinners, you can pin as many of the items featured above as you like for up to 5 bonus entries (one per pin). Just leave links back to your pins in the comments below. I’d love to try the Bruxelles Blonde. 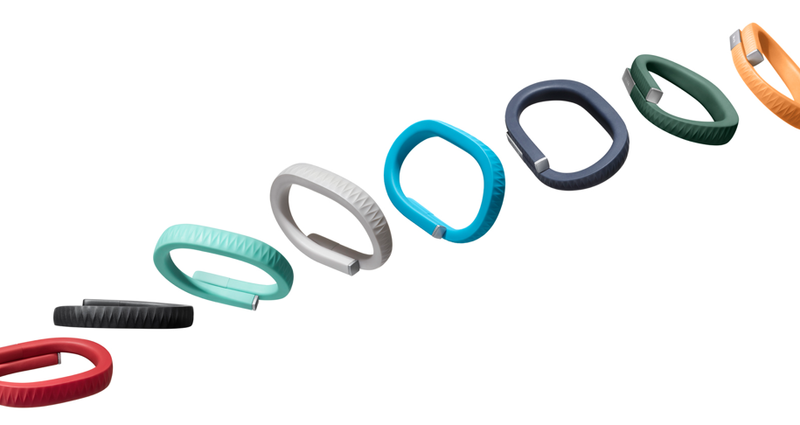 The Up by Jawbone is a cool gift! I like the Up by Jawbone. How cool is that??!! Also the beer I’d most like to try is the Jalapeno Saison! sounds awesome!! 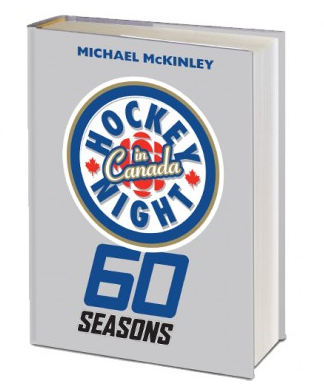 The Hockey Night in Canada 60 Seasons book is my favourite featured gift. Hubby is a huge hockey fan. My beer selection is Grapefruit Honey Ale. I like the Brooklyn Brew Shop on facebook and left a message. Here is the link. The grill looks amazing. I would love to try the grapefruit honey ale. Hockey Night in Canada 60 Seasons would thrill my husband. The Bruxelles Blonde looks like a light beer and they are my favourites. My husband is a huge griller/smoker so he would love the grill. I would like to try the blonde beer making kit. my husband would love any of these!! the Hockey Night in Canada book is awesome!! made sure to like their page as well! I’d like to try the grapefruit honey ale! my favourite gift is the jawbone up. I like the grill . I would love to try the grapefruit honey ale.Pick me, pick me! Your next winner!!! Show me the money!!! It would be a dream come true & means more to me than anyone else to win. Starving artist here desperately needs the grill to cook & eat again. Winner, winnner. Chicken dinner. A life changing experience. Top of my bucket list. Thank you for the awesomeness, the contest, & generousity. My favourite gift find is the Summer Wheat Beer Making Kit from Brooklyn Brew Shop. The beer I would most like to try is Bruxelles Blonde. I like Brooklyn Brew Shop on Facebook and commented there: https://www.facebook.com/brooklynbrewshop?fref=ts . I also liked the CBC Gift shop and left a comment there about the HNIC book: https://www.facebook.com/pages/CBC-Shop/36181390248?fref=ts . THe bbq looks pretty sweet. Grapefruit honey ale sounds good and I love the grill. Oh my gosh, my Dad would LOVE the grill!! Love the versatility of the grill. The beer kit I’d most love to try is the Smoked Wheat one. I love the grill! and would try the grapefruit honey ale first! The Up by Jawbone and I would like to try the The Grapefruit Honey Ale. My fav find is the Up by Jawbone wristband, and would like to try the Chocolate Maple Porter. The Up by Jawbone wristband is deffiantly my pick! and I’d love to try the Jalapeno Saison beer, sounds interesting! The HNIC book would be the best gift. If my kids got that for me, I would be a very, very proud father. The Five Cooking Method Grill-What a good idea. I think my dad would love the beermaking kit the best – in Summer Wheat! You can’t beat a good IPA and I like the HNIC boko. 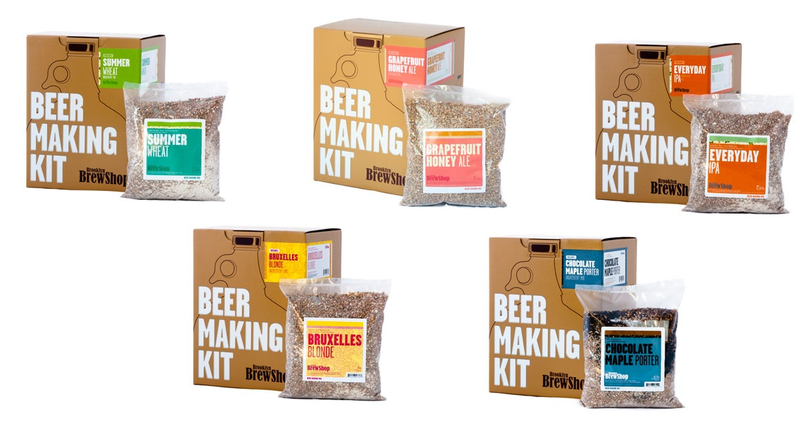 My favourite Father’s Day find featured in this post is the “DIY T-Shirt Kit – $249.99 @ DIY Print Shop” + the Brooklyn Brew Shop kit I’d most love to try first is their, “Beer Making Kit: Summer Wheat”. the jawbone would be awesome and the beer kit of choice is chocolate maple! The The Five Cooking Method Grill looks pretty amazing and I would like to try the Everyday IPA. Would love the Grill and the Bruxelles Blonde sounds good. The grill looks great, and we would try the Everyday IPA (a good father-daughter project, no?). Every day IPA and the grill! 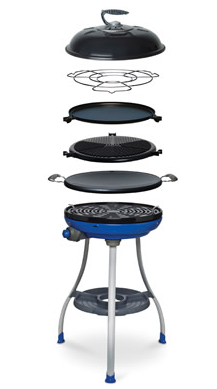 : The Five Cooking Method Grill – $349.95 @ Hammacher Schlemmer looks really cool! I like the five cooking method grill. The kit I would like to try is the chocolate maple porter. It’s gotta be the DIY tshirt making kit or the UP by Jawbone. Jawbone has such great products and surely this is on the level. As for the Brooklyn Brew. Technically I hope the first one I try is the Wheat through this contest but second, pending greatness, I’d love to hie the jalapeño a whirl as I’ve never seen it in a home brew kit.